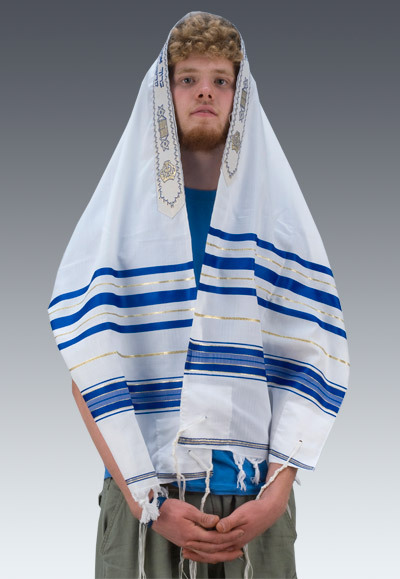 …or tousled blond model in Bar Mitzvah Tallit from The Galilee Experience catalog? What’s next? The Phylactery Headwrap?